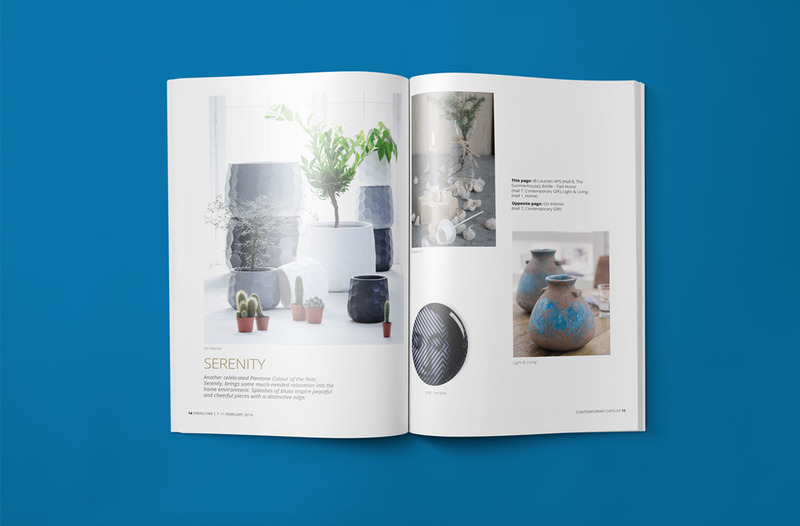 The Spring Fair Contemporary Capsule is a beautifully conceived brochure produced alongside the official Spring Fair show preview each year. 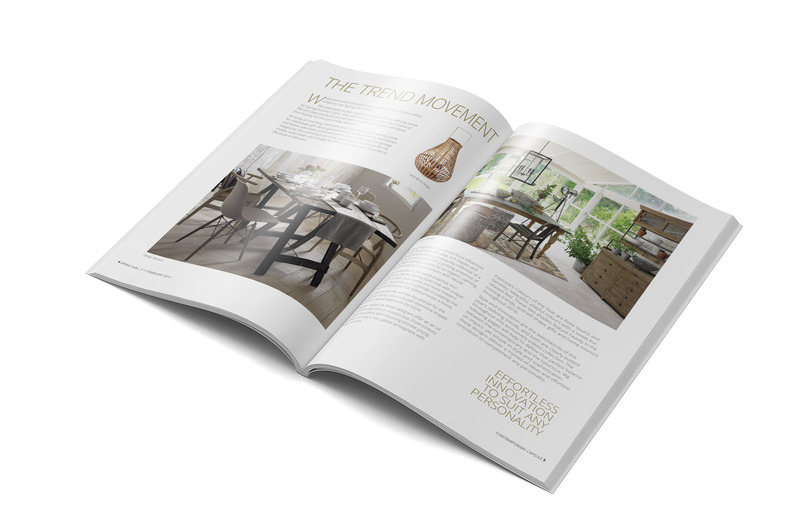 As the premier show for the UK home and gift industry, Spring Fair is a wide ranging event, attracting exhibitors and buyers from across the full breadth of the industry. To help shine a refined spotlight on exhibitors with a contemporary offering, the Contemporary Capsule was born. Working closely with the team at Spring Fair and their exhibitors, we plan, design, write and print the capsule. 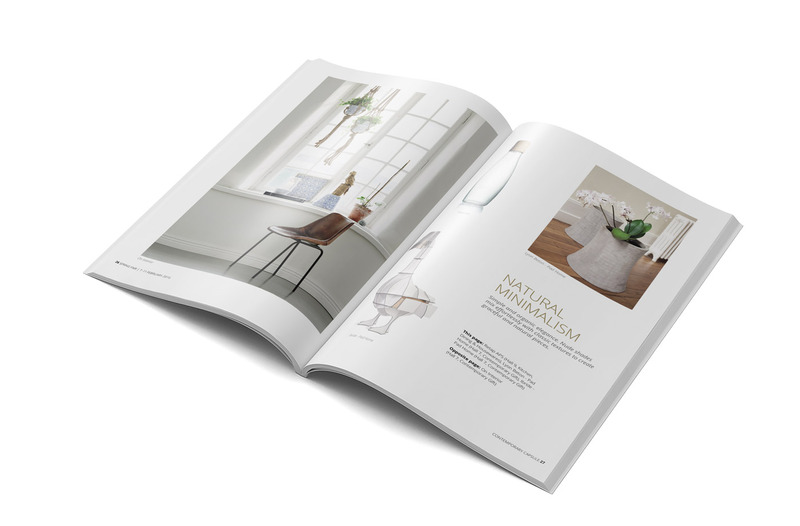 To create the desired look and feel to help people understand the contemporary offering at Spring Fair, design is focused on creating the space and layout necessary to allow the imagery to breathe, fully showcasing the products, whilst copy brings to life the products through an airy and stimulating tone.